A 23-year-old British singer-songwriter whose music blends his folksy, acoustic sound with hip-hop elements like rapping and beat-boxing. The Atlantic Records artist wrote music for Taylor Swift, One Direction and Jessie Ware and got his first big break when he sang a live version of his song “You Need Me, I Don’t Need You” on the SBTV YouTube channel in February 2010. To date, the video has over 8 million views. 2010 was a huge year for Sheeran. That April, he played actor/singer/radio host/comedian at Jamie Foxx’s “The Foxxhole” open mic night in Los Angeles. Impressed, Foxx invited Sheeran to stay at his house, record music and appear on his radio show “The Foxxhole.” He then followed that up by playing Sir Elton John’s album showcase at the Jazz Café in London in August 2010. Sheeran’s second album “x” (read: “Multiply”) was released in June 2014 on Atlantic. It’s produced by Pharrell, Rick Rubin, Benny Blanco and Jeff Bhasker. He just dropped a video for his single “Don’t” in August. You’ve also probably heard his work featured in some of your favorite new movies. He performed “All of Our Stars” from “The Fault in Our Stars” soundtrack and director Peter Jackson commissioned music from Sheeran for the soundtrack of “The Hobbit: The Desolation of Smaug.” The result was “I See Fire,” a smooth, folksy acoustic song which Sheeran produced and performed. In addition to Elton John and Jamie Foxx, Sheeran’s also tight with Taylor Swift and opened up for the “Shake It Off” singer on her RED Tour. And then there was the jar of jam that Swift sent him before the 2013 VMAs. The joke on the label is a reference to the The Kanye West/Taylor Swift VMA Incident of 2009. The singer was nominated for two Grammys (Song of the Year in 2013 and Best New Artist in 2014), but hasn’t taken one home yet. 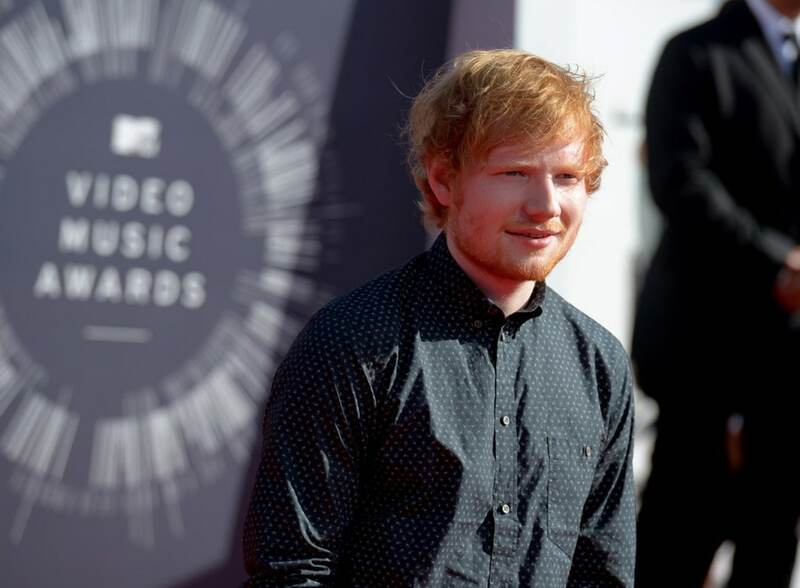 Sheeran’s a hit among young music fans. 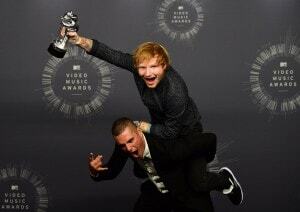 His video for “Sing” won Best Male Video at the 2014 MTV Video Music Awards. He’s also one three Teen Choice Awards, snagging Choice Music Breakout Artist in 2013 and the awards for Choice Male Artist and Choice Single Male Artist (he won for his single, “Sing”) in 2014. He does A LOT of covers. In addition to being popular among the teens, Sheeran is also known for doing acoustic covers of hit songs. He’s taken on Beyonce’s “Drunk in Love,” 5 Seconds of Summer’s “She Looks so Perfect,” and gave us a Macklemore-Blackstreet double feature with this “Thrift Stop”/ “No Diggity” cover.